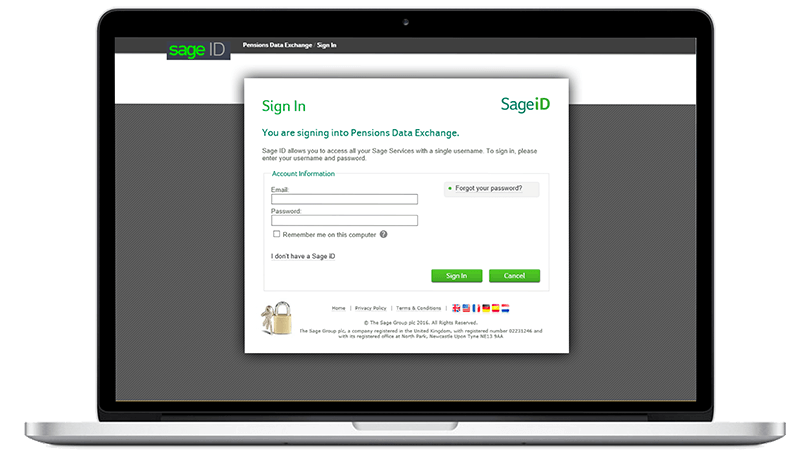 Sage & Smart Pension One-Click Payroll & Pension Integration coming soon. Bye Bye CSVs. Hello Sage One-Click Integration. Sage is the biggest and most reputable payroll software provider in the UK with industry leading products designed for businesses of all sizes. With affordable and flexible solutions designed to drive efficiency, Sage offers a choice of packages to suit the unique payroll needs of every business. Smart Pension are pleased to announced the upcoming integration of our API with Sage Payroll which means that employers and payroll bureaus can soon manage their payroll duties and fulfil their legal auto enrolment obligations in one convenient place, and at the simple click of a button. 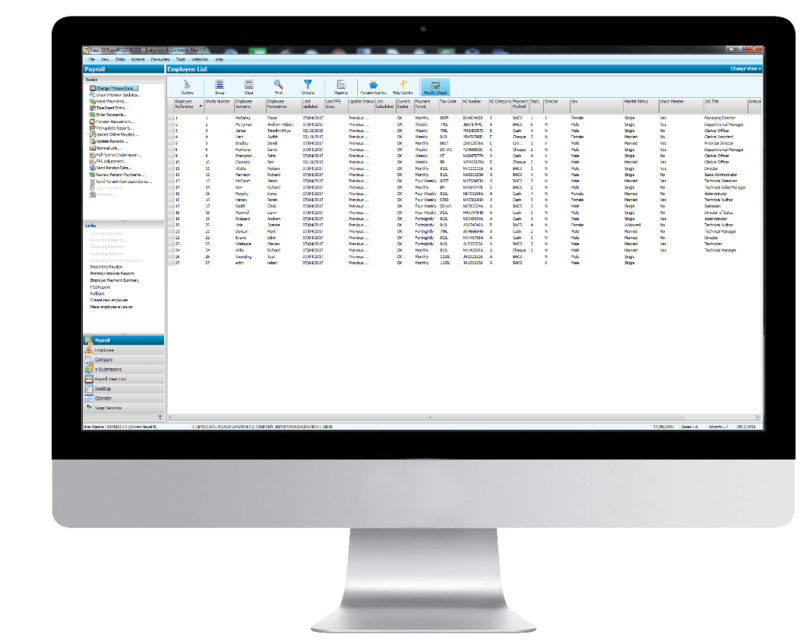 Our API integration will work with a number of Sage Payroll software including Sage One and Sage 50. This approach allows for a complete, quick and efficient, end-to-end process of automatic enrolment saving you invaluable time which can be spent on the important things like running your business. Employers and payroll bureaus will be able to submit various types of data, from employee information to payroll details and pension contributions, all from within their payroll application directly to Smart Pension with just a single click. So whether you are a small business owner running your own payroll or you are a payroll bureau running multiple payrolls at any given time, then the Sage & Smart Pension One-Click Payroll & Pension Integration is designed for you. 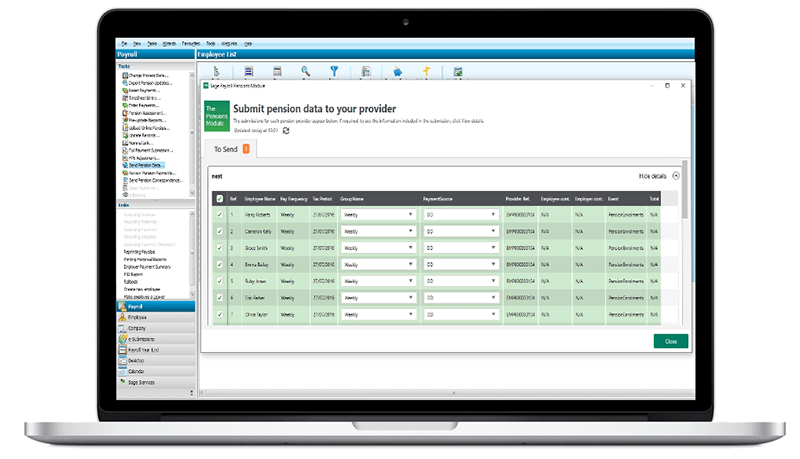 With the Sage & Smart Pension One-Click Payroll & Pension Integration, error-prone CSV files and time-consuming processes become a distant memory. 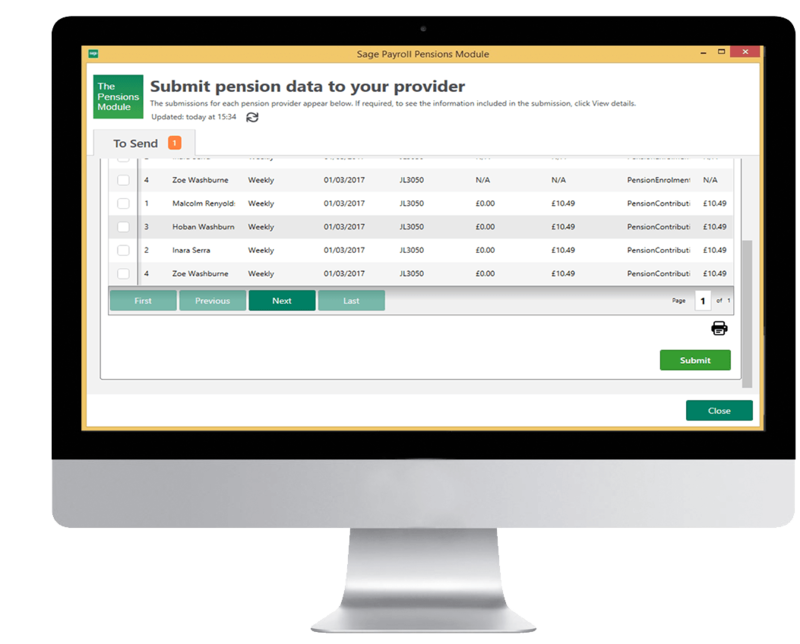 Set up your auto enrolment workplace pension scheme, add and assess your employees and then submit your pension contributions to Smart Pension in an instant without having to leave your Sage Payroll application. Your pension contributions are submited directly to your Smart Pension account from Sage without the need to log in and upload a CSV file. One click and you are done!